"Like Nick Hornby writing an episode of Californication!" -- Sarah Maclean, New York Times bestselling author. 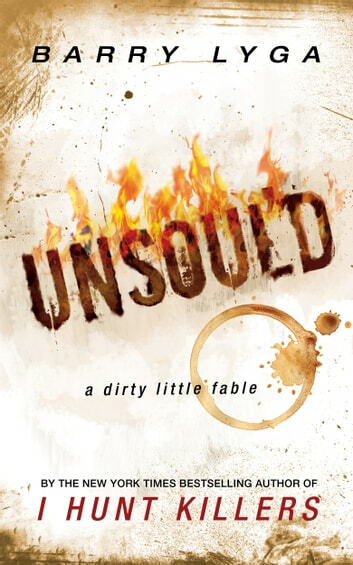 If you love Amy Schumer, Judd Apatow, Kevin Smith, or stories that are so wrong they’re right (but not really), then you’ve got to read Unsoul'd! Randall Banner is thirty-five years old, a middling mid-list author who yearns for more of everything: More attention. More fame. More money. More fans. Then, one quiet morning, he meets the devil while pounding away at his laptop at his usual coffee shop. Soon, a deal is made, a contract is signed, and Randall is on his way to fame and fortune unlike any he ever imagined. What follows is a bawdy, hilarious, yet harrowing tale of one man, one devil, and a deal that could change the world. Unsoul'd is the first novel for adults from Barry Lyga, the critically acclaimed author of young adult novels such as the award-winning Boy Toy and the New York Times bestseller I Hunt Killers. I'd overindulged in a series of police procedurals, followed by half a dozen brilliant fantasies. So I was looking for a literary palate cleanser. Something funny, pacey and modern. Two pages in and I knew I'd hit the jackpot. The plot is genuinely original, the writing polished, the humour sardonic. And don't you just love stories written in the first person? The only disappointing aspect is its brevity.